other cruise line, hotel or resort in history. 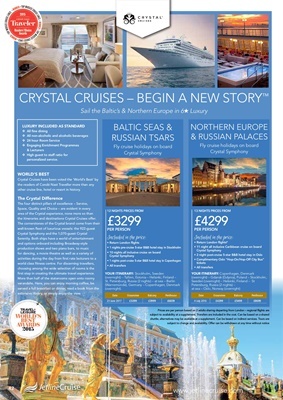 the itineraries and destinations Crystal Cruises offer. first step in creating the ultimate travel experience. extensive library, or simply enjoy the view. • Complimentary Oslo "Hop-On/Hop-Off City Bus"